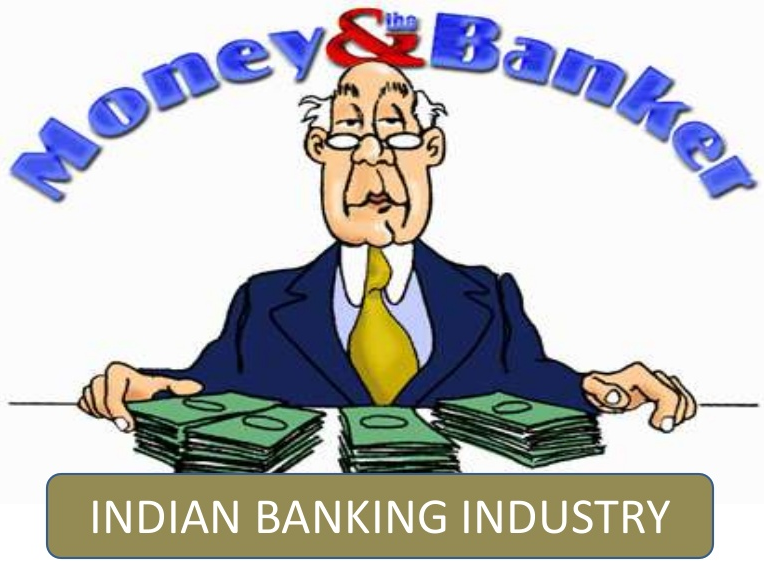 A banking company in India has been defined in the banking companiesact,1949.as one “which transacts the business of banking which means the accepting, for the purpose of lending or investment of deposits of money from the public, repayable on demand or otherwise and withdraw able by cheque, draft, order or otherwise.” Most of the activities a Bank performs are derived from the above definition. In addition, Banks are allowed to perform certain activities which are ancillary to this business of accepting deposits and lending. A bank’s relationship with the public, therefore, revolves around accepting deposits and lending money. Another activity which is assuming increasing importance is transfer of money – both domestic and foreign – from one place to another. This activity is generally known as “remittance business” in banking parlance. The so called forex (foreign exchange) business is largely a part of remittance albeit it involves buying and selling of foreign currencies. Commercial banks are joint stock companies dealing in money and credit. In India, however there is a mixed banking system, prior to July 1969, all the commercial banks-73 scheduled and 26 non-scheduled banks, except the state bank of India and its subsidiaries-were under the control of private sector. On July 19, 1969, however, 14mejor commercial banks with deposits of over 50 Corers were nationalized. In April 1980, another six commercial banks of high standing were taken over by the government. 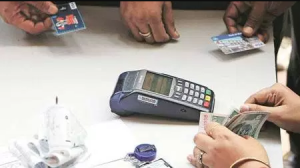 There are specialized forms of banks catering to some special needs with this unique nature of activities.Foreign exchange banks, Industrial banks, Development banks, Land development banks, Exim bank are important. of a country. It is regarded as the highest monetary authority in the country. It acts as the leader of the money market. It supervises, control and regulates the activities of the commercial banks. It is a service oriented financial institution. India’s central bank is the reserve bank of India established in 1935.and it was nationalized in 1949.It is free from parliamentary control. A developing economy needs a high rate of capital formation to accelerate the tempo of economic development, but the rate of capital formation depends upon the rate of saving. Unfortunately, in underdeveloped countries, saving is very low. Banks afford facilities for saving and, thus encourage the habits of thrift and industry in the community. They mobilize the ideal and dormant capital of the country and make it available for productive purposes. Innovation is another factor responsible for economic development. The entrepreneur in innovation is largely dependent on the manner in which bank credit is allocated and utilized in the process of economic growth. Bank credit enables entrepreneurs to innovate and invest, and thus uplift economic activity and progress. Banks are the manufactures of money and they allow many to play its role freely in the economy. Banks monetize debts and also assist the backward subsistence sector of the rural economy by extending their branches in to the rural areas. They must be replaced by the modern commercial bank’s branches. Banks are in a position to influence economic activity in a country by their influence on the rate interest. They can influence the rate of interest in the money market through its supply of funds. Banks may follow a cheap money policy with low interest rates which will tend to stimulate economic activity. Thus monetary policy of a country should be conductive to economic development. But a well-developed banking system is on essential pre-condition to the effective implementation of monetary policy. Under-developed countries cannot afford to ignore this fact. Normally the banker uses the money of depositors in granting loans and advances. So first of all initially the banker while granting loans should think first of the safety of depositor’s money. 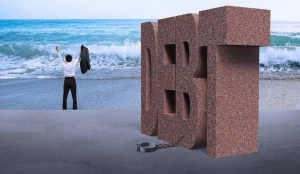 The purpose behind the safety is to see the financial position of the borrower whether he can pay the debt as well as interest easily. It is a legal duty of a banker to pay on demand the total deposited money to the depositor. So the banker has to keep certain percent cash of the total deposits on hand. Moreover the bank grants loan. It is also for the addition of short term or productive capital. Such type of lending is recovered on demand. Commercial banking is profit earning institutes. Nationalized banks are also not an exception. They should have planning of deposits in a profitability way pay more interest to the depositors and more salary to the employees. Moreover the banker can also incur business cost and can give more benefits to customer. Banks never lend or advance for any type of purpose. The banks grant loans and advances for the safety of its wealth, and certainty of recovery of loan and the bank lends only for productive purposes. For example, the bank gives such loan for the requirement for unproductive purposes. While lending loans or advances the banks normally keep such securities and assets as a supports so that lending may be safe and secured. Suppose, any particular state is hit by disasters but the bank shall get benefits from the lending to another states units. Thus, he effect on the entire business of banking is reduced.